Adopting a humorous view towards life`s situations can take the edge off everyday stressors. Not being too serious or in a constant alert mode helps maintain the equanimity of mind and promote clear thinking. Being able to laugh stress away is the smartest way to ward off the effects of stress. A sense of humor also allows us to perceive and appreciate the incongruities of life and provides moments of delight. The emotions we experience directly affect our immune system. The positive emotions can create neurochemical changes that buffer the immunosuppressive effects of stress. During stress, the adrenal gland releases corticosteroids, which are converted to cortisol in the bloodstream. These have an immunosuppressive effect. Carefully controlled studies show that the experience of laughter lowers serum cortisol levels and increases the amount and activity of T lymphocytes, the natural killer cells. 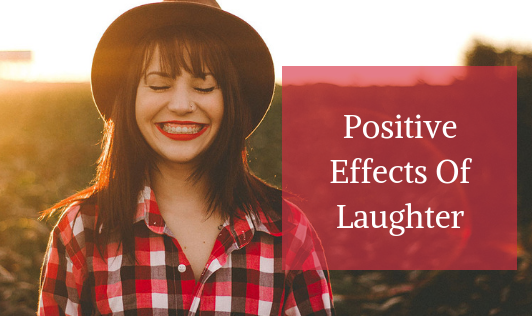 Laughter also increases the number of T cells that have suppresser receptors. Laughter lowers blood pressure and reduces hypertension. It provides good cardiac conditioning especially for those who are unable to perform physical exercise. Reduces stress hormones (studies shows laughter induces reduction of at least four of neuroendocrine hormones such as epinephrine, cortisol, dopac, and growth hormone, associated with stress response). Laughter cleanses the lungs and body tissues of accumulated stale air as it empties more air than it takes in. It is beneficial for patients suffering from emphysema and other respiratory ailments. It increases muscle flexion, relaxation and fluent blood circulation in the body. Boosts immune function by raising levels of infection-fighting T-cells, disease-fighting proteins called Gamma-interferon and disease-destroying antibodies called B-cells. Laughter triggers the release of endorphins, the body`s natural painkillers.